Over the past nine years we have shown that the museum is an exciting attraction for Mackinaw City and the surrounding area. Annually, we host over 20,000 tour guests of all ages! Our interactive elementary school Educational Tours and Boy/Girl Scout Overnight Encampments are teaching a new generation about this fabulous ship. We continue to move “FULL SPEED AHEAD” with many projects. Our current project is raising the funds needed to paint this Grand Lady. 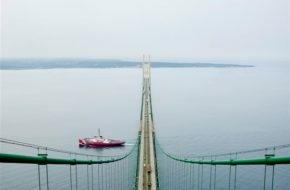 We need the support of those of you who, like us, love the Mackinaw. Please join us in making the Icebreaker Mackinaw Maritime Museum the finest floating maritime museum on the Great Lakes! The Inaugural gift will be presented for first-year membership only unless level of support in increased. 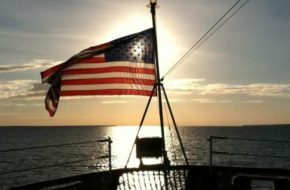 Supporters will also receive a 10% discount in the Ship’s Store, email receipt of our quarterly newsletter and an invitation to view the 4th of July Fireworks aboard the ship. Your “Friends of the Mackinaw” card must be presented for admission and store discount.